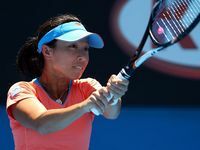 THE Australian Open has lost its final Australian singles hope. 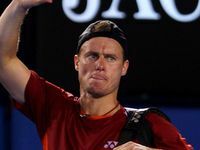 Former world number one Lleyton Hewitt was tumbled out of the Open by current number one Novak Djokovic 6-1, 6-3, 4-6, 6-3 last night on Rod Laver Arena. Hewitt capitulated in the first set, winning only the one game, and looked to be heading for a straight sets defeat when the reigning champion captured the second. However, the Serbian faltered in the third set, handing Hewitt a foothold in the match and giving the crowd a sense that another five-set Hewitt epic was on the cards. But the number one seed dashed those dreams, breaking Hewitt for the eight time in the match to claim a four-set victory. Djokovic will now meet Spaniard David Ferrer in the quarter-finals.